Nothing is quite as recharging as a day spent in nature, and one of the most thrilling ways to enjoy nature is in a whitewater raft! It’s easy to escape the hustle and bustle of Boston for a day— or even part of a day—on one of several nearby rivers. 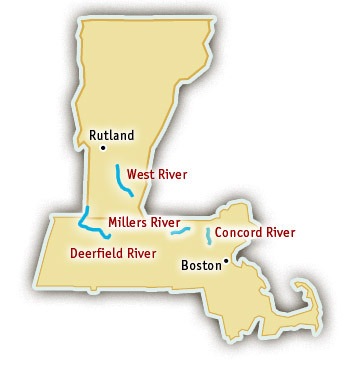 The Concord River is located only 30 minutes north of Boston. In fact, getting to this river is so easy, rafters don’t even need a car. Trains or busses regularly depart Boston for Lowell, MA, the starting point for Concord River rafting trips. Rafters can choose between a morning or an afternoon trip; both options last approximately three hours. Rafters take two laps on this Class III-IV river: that’s twice the enjoyment! In addition to whitewater, rafters on the Concord enjoy a glimpse into the past—including old stone bridges and historic mill sites. This fascinating float ends in central Lowell after a journey through the original 1850s lock chambers. The recommended age for this river is age 14 and up. Because the Concord River is undammed, the rafting season relies entirely on seasonal runoff; the typical season runs from early April until late May. Rafting trips on the Millers River start in the town of Erving, MA, less than two hours from Boston. This river is dependent on spring snowmelt, which means the season can last anywhere from a couple weeks to a couple months (the typical season is early to late April). 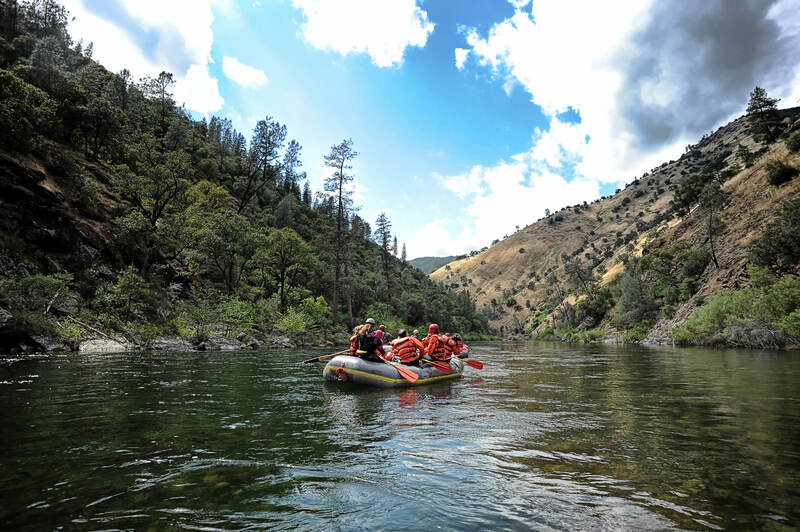 A Millers River rafting trip takes participants past historic mill towns, through oak and pine forests, and, of course, through exciting and challenging rapids. With eight miles of Class III-IV rapids, the Millers River is a sure bet for adventure-seeking families; most outfitters allow children as young as age 12. The Deerfield River is about two and a half hours northwest of Boston, and offers several options for families interested in whitewater rafting. Families with children as young as age five can enjoy a four-hour family float through easy Class I and Class II river features. For those looking for more adventure, the Zoar Gap section offers a 10-mile stretch of Class II and Class III rapids. This section has a typical minimum age of seven years old. Finally, the Dryway section is suitable for anyone aged 14 and up. This six hour float offers the thrills of Class III and IV rapids. All sections float through scenery teeming with wildlife, historic buildings, and fascinating rock outcrops.